Establish yourself as a globally-recognized human resource expert by earning the new standard in HR Certification: SHRM Certified Professional (SHRM-CP®) and SHRM Senior Certified Professional (SHRM-SCP®). Expand and test your knowledge and practical, real-life competencies in areas critical for HR career success. This program combines expert instruction with the SHRM Learning System® for SHRM-CP/SHRM-SCP, so you will learn faster, retain more knowledge and stay on track for success on the exam. 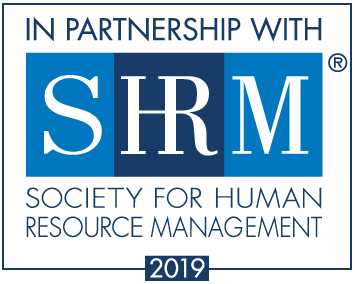 Whether you are seeking certification or simply want to improve your HR skills, the SHRM Learning System® for SHRM-CP/SHRM-SCP course provides a comprehensive and accelerated option for professional development. Participants gain a generalist viewpoint, refresh key ideas and concepts, strengthen their understanding of core competencies and increase productivity. Learning System materials will serve as a valuable day-to-day resource manual, providing answers to a wide range of HR challenges. You will have access to the Learning System for 18 months, which is far beyond the length of the certification program. Download the top five ways your organization will benefit from your SHRM-CP/SHRM-SCP designation. HR professionals qualified under SHRM requirements for SHRM-CP and SHRM-SCP certification who are preparing for the exam. Individuals who want advanced education and training for a successful HR career. HR professionals wanting a broader education or to update their HR knowledge. HR professionals who want to enhance their marketability by gaining current HR knowledge. UCF provides participants with a hands-on approach assisting them through the program content to ensure that each person is set up for success. UCF offers evening and fully online programs for busy professionals. Class options on weeknights and live-online to best accommodate your schedule needs. A thorough course introduction detailing the resources you will have access to beyond the SHRM books and Learning System. Instructors who are subject-matter experts in the respective areas that are covered each class session. A bonus session to drive home the HR Competencies. The opportunity to network with your HR peers. Access to the live-online recorded sessions. UCF Continuing Education is proud to bring the best instructors to the classroom. All instructors and guest speakers are selected for their expertise in functional areas of Human Resources. Download full bios (PDF) on each of our instructors and guest speakers. Assessment - Identify topics you already know and those areas that require more time and attention. Tests - Test your situational judgment, knowledge and comprehension with more than 1,000 questions. Online Resource Center - Access flashcards (printable or online), HR updates, related links, feedback feature and more. 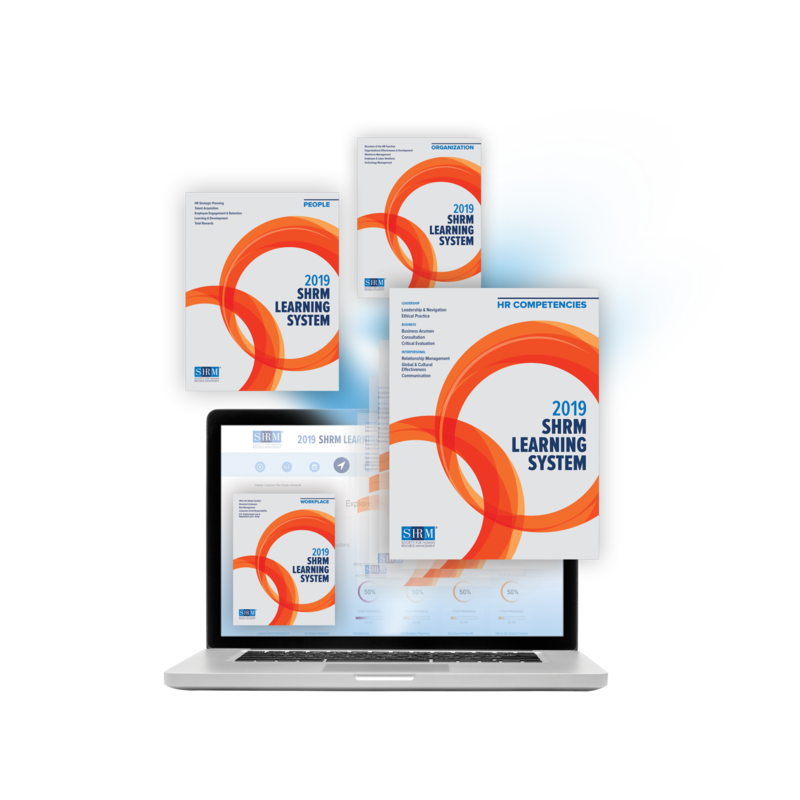 Best of all, you can access the SHRM Learning System® via your PC, laptop, mobile device, or e-reader making it easy to study wherever and whenever you have time. An attendance policy is in place in order to receive UCF and SHRM Certificates of Completion. Is the class taught by one or more instructors? UCF Continuing Education is proud to bring the best instructors to the classroom. Each course is taught by instructors who are selected for their expertise in functional areas of Human Resources. Is the course content the same regardless of the format? All formats of the Professional Human Resources Management (SHRM-CP/SHRM-SCP) course are the same number of contact hours in the classroom and cover the same content. Resources and materials presented are the same although the format and the hours per meeting time may differ. Are there discounts or payment options? Yes, participants who are UCF alumni/staff, current SHRM Members or members of CFEC, or GOOD Network are eligible for a discount from the standard registration fee. There is also an early bird registration fee for registrations received one month or more before the course begins. Discounts cannot be combined. Payment plans are also offered so that participants can pay for the course in a series of installments leading up to the start of the course. For payment plan dates and payment amounts, please visit the "Payment Plans" section below. Who do I contact to register a group? To register a group of participants for any of the locations of the Professional Human Resources Management course, please contact the UCF Continuing Education Customer Relations Center at 407-882-0260 or ceprograms@ucf.edu. How late can I register for the class? It is recommended that you complete registration two weeks before the start of the course to ensure that materials are ordered and arrive in time for the first session. Please contact ceprograms@ucf.edu for further details. What happens if I sign up for the class but later find out that SHRM did not approve my application to sit for the examination? Once the course has started, participants cannot withdraw or have their registration fees refunded. The SHRM Learning System® for SHRM-CP/SHRM-SCP Certification is not only designed to prepare participants for the SHRM-CP/SHRM-SCP Examinations. Many participants enroll in the courses for the valuable HR content that provides professional development for them and their HR department. The courses provide a solid foundation for managing the HR challenges faced in today's demanding work environment, supply a current reference of HR practices, broaden the perspective of functional specialists, and strengthen individual competencies and productivity. Earning your SHRM Certified Professional (SHRM-CP™) or SHRM Senior Certified Professional (SHRM-SCP™) credential establishes you as a recognized expert in the HR field. These certifications recognize that HR professionals are at the core of leading organizational success. Visit shrmcertification.org to learn more. Is the cost of the exam included with course registration? The cost of the course does NOT include the certification examination fee. SHRM requires that each person apply for the certification exam individually and the payment for the application fee and exam are paid at the time of application. For additional information on the SHRM-CP and SHRM-SCP application, visit SHRM's certification website at shrmcertification.org. What are the national and UCF pass rates? SHRM does its best to match students who take SHRM-CP and SHRM-SCP Exam Certification Programs through its Education Partners with those students who actually sit for the SHRM-CP or SHRM-SCP exams. However, not all students sit for the actual exam or in the corresponding testing window. During the Spring 2016 testing window, the national pass rate for SHRM-CP was 67% and for the SHRM-SCP it was 57%. During this same testing window, UCF's SHRM-CP passing rate was 64% and 75% for the SHRM-SCP. During the Fall 2017 testing window, the national pass rate for SHRM-CP was 70% and 56% for the SHRM-SCP. During this testing window, UCF's SHRM-CP and SHRM-SCP pass rates were 67%. UCF Continuing Education offers payment plans in which course fees can be paid in installments prior to the start of the course. Participants must be paid in full to begin the courses. For additional information, please contact 407-882-0260 or ceprograms@ucf.edu. It's a great class, I definitely feel a lot more prepared for the SHRM-CP exam than I would've just by self-study. Refund requests must be made in writing to UCF Continuing Education no later than ten business days prior to beginning of the course. An administrative fee of 25% of total registration fees will be deducted, with a minimum administrative fee of $25.00. UCF Division of Continuing Education reserves the right to cancel any class if it does not meet minimum enrollment 3 business days prior to beginning of class. The early bird fee will be available until one month prior to the course start date. For registrations received less than one week before the course begins, materials may not be available on the first session. Please contact our offices for additional details. I agree that I have read and understand all course details, including: course sessions, registration and certification information provided on the HR (SHRM) - Professional Human Resources Management (SHRM-CP and SHRM-SCP) webpage. Refund requests must be made in writing to Lisa Ruscigno no later than ten business days prior to beginning of the course. An administrative fee of 25% of total registration fees will be deducted, with a minimum administrative fee of $25.00. UCF Division of Continuing Education reserves the right to cancel any class if it does not meet minimum enrollment 3 business days prior to beginning of class. For those participants local to the area, books can be picked up at the UCF Continuing Education office. Materials will be shipped to the address provided at the time of registration for those that live outside of Central Florida. No refunds are granted once SHRM Learning System Materials are shipped to the student. Shipping is included to participants in the continental United States. International shipping may be an additional cost. Please contact our offices for additional details. I agree that I have read and understand all course details, including: course sessions, registration and certification information provided on the HR (SHRM) - Professional Human Resources Management (SHRM-CP and SHRM-SCP) webpage.